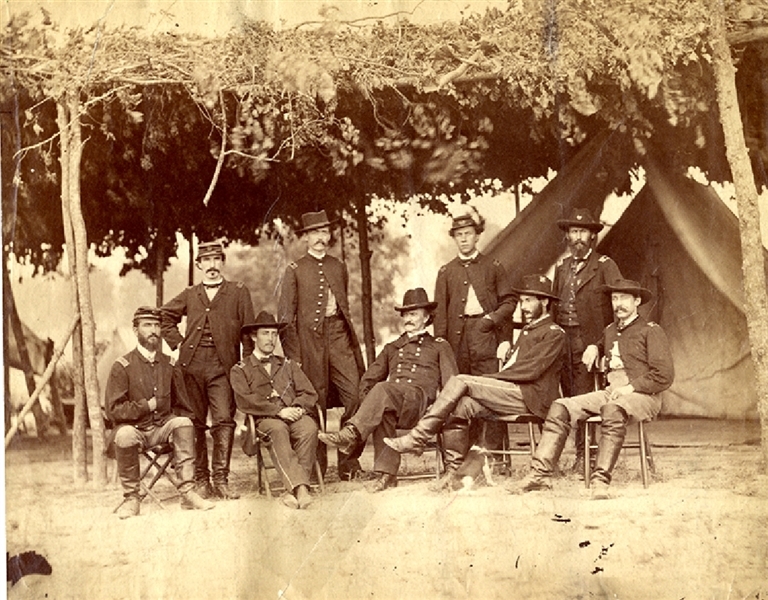 Albumen photograph of General Julius White (1816-1890) and staff, 8-1/2”x6-3/4”, outdoor photograph. Unmounted. Fine condition.